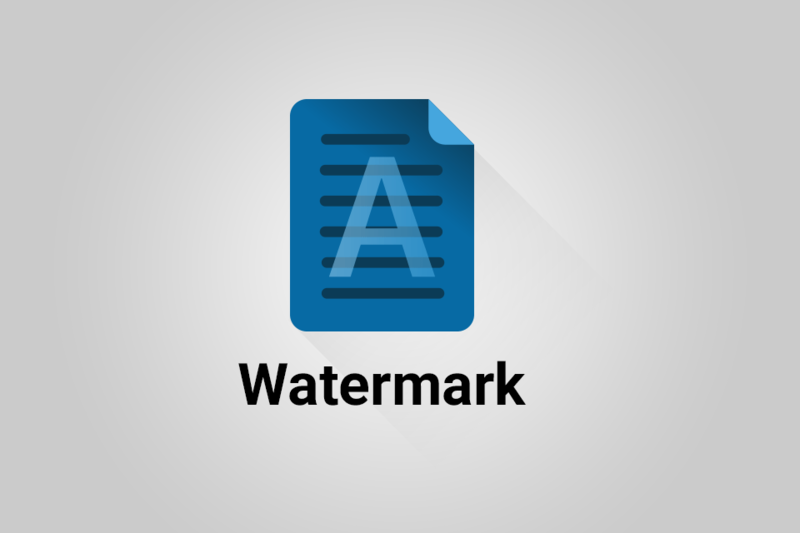 Watermark is a premium plugin for Gravity PDF that allows you to easily add a watermark to any Gravity PDF-generated document. You can include a text- or image-based watermark, control the watermark opacity, as well as the font. You can purchase the Watermark plugin from our Extension Shop. This guide will walk you through installing and configuring Watermark to its full potential. This extension adds a number of new settings to all non-legacy PDF templates (any template designed for Gravity PDF v4 or higher) and they can be found in the Appearance tab when adding/editing the PDF settings. Toggle to enable the Watermark feature. When enabled, the PDF/A-1b and PDF/X-1a formats are automatically disabled due to not supporting transparency. Display an image watermark on each page of your PDF, vertically and horizontally centred. For the best results, use a transparent PNG image the same dimensions as the PDF Paper Size. To ensure your PDF generates quickly and the PDF file size stays small we recommend using an image under 1MB. Try run the image through a compression tool like TinyPNG. Display a text watermark diagonally-centred on each page of your PDF. Valid UTF-8 character can be displayed, provided the Font supports it. Text and Image Watermarks can be used concurrently. Select the font to use for the Text Watermark. Additional fonts can be installed via the Font Manager. Control the transparency of both the Image and Text Watermarks by selecting a value between 0 and 100%. A 0% opacity is completely transparent, while 100% opacity is not transparent at all. 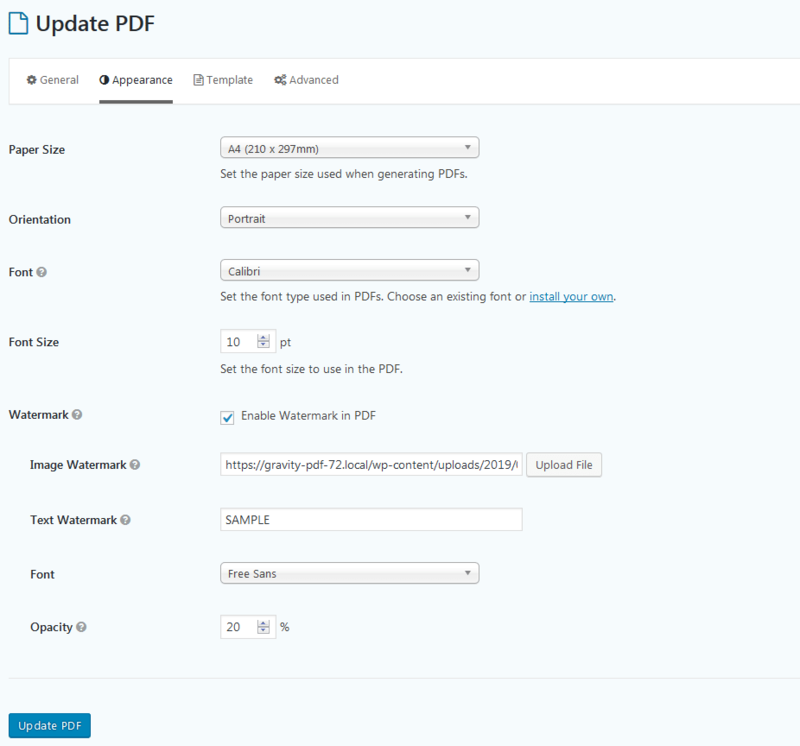 The Watermark plugin settings are supported with the Previewer add-on, so you can display image watermarks when previewing the PDF. When viewing the PDF preview the watermark “Preview” will be displayed, and when viewing after form submission the watermark “Sample” will be displayed.